What would we do without Google? Well I for one would be slightly lost, given that I receive alerts on anything to do with anti-feminism published on the Internet. So what does an alert on anti-feminism send to my inbox several times a week? The answer is lots of articles expressing disgust and hatred towards feminism and many people seeking answers to their questions on feminism by sending their questions to Yahoo Answers. On the one hand, this is a good thing, for where can you simply ask any question you would like to know the answer to? The downside of this is just because a question is asked doesn’t mean you are going to get an answer or that any answer is correct. The first question I came across on Yahoo Answers this week was a generic question from readers asking whether they were ‘pro feminism or antifeminism’. The best answer chosen was one that said radicals give all feminists and women a bad name. The author continued to say that radicals pretend that what they want is wanted by every woman. In other words, the author is suggesting that “radicals” go overboard. Another response to the question to pro or anti feminism suggests ‘misandry within the feminist community is running riot’. This writer also believes that many feminists have an air of self-righteousness. And finally, a feminist way to end this fortnight’s column is with an article titled Why I’m a feminist with a Big, Fat, Loud EFF. 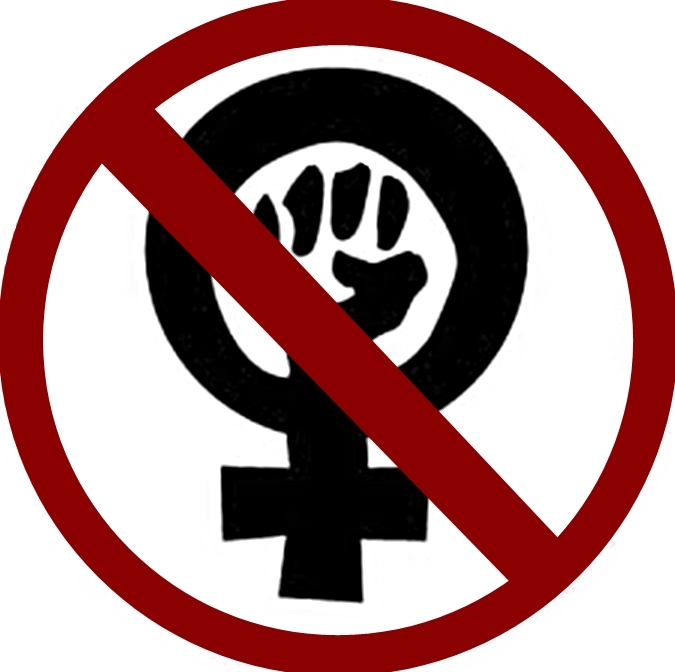 Soraya Chemaly takes aim at women who benefit from laws and societal changes made by feminists but are reluctant to acknowledge feminism or call themselves feminist. She includes an entire list directed at anti-feminist women, but ends with one to anti-feminist men. It says ‘and if you’re an anti-feminist man whose mother, sister, daughter, wife, girlfriend benefit from any of these things, you certainly didn’t build that’ (referring to feminist accomplishments like birth control, family planning, equal pay etc). The sad fact is that while I still receive my Google alerts on anti-feminism, it means someone out there doesn’t see feminism as a human and civil rights movement. Even if we did celebrate feminism with fireworks, barbeques and parades, every email telling me Google has found something on anti-feminism means there will always be someone questioning what we, as feminists, have to celebrate. This entry was posted in Culture, Featured and tagged anti-feminism, Opinion, the nonsense of anti-feminists. Bookmark the permalink.